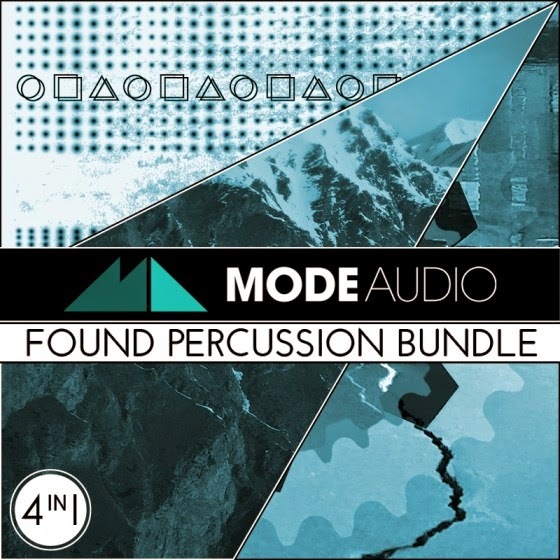 So, ModeAudio sent me a bundle of samples called 'Found Percussion': 4 Ableton Live packs containing an interesting and diverse set of 750 samples, plus kits, instruments, etc. Clear install instructions and neatly separated samples in named folders showed attention to detail, which matters more and more as you work with large numbers of samples. The 'UnderCover' set shows the thinking, with folders named: Woods (19), Metals (63), Plastics (29), Snaps (12), Lids (11), Glass (16), etc. (=number of samples in the folder), and containing named samples like: Bottle Rattle, Jewel case, Calculator Button, etc. First off, I auditioned all of each of the audio packs, then listened to the samples on their own, and then I explored deeper, adjusting the instruments and using the samples in ways that were probably slightly outside the intentions of the creators! It was great fun, and I found that the samples were a great trigger for creativity. You can read more about my explorations in the ModeAudio magazine.